Scott Wilson, who played Hershel Greene on The Walking Dead, has died. According to a report by TMZ, Wilson passed after battling leukemia. He was 76 years old. The official Twitter account for The Walking Dead confirmed the actor's death on Saturday, October 6, tweeting, "We are deeply saddened to report that Scott Wilson, the incredible actor who played Hershel on #TheWalkingDead, has passed away at the age of 76. Our thoughts are with his family and friends. Rest in paradise, Scott. We love you!" Actor Titus Welliver, whom Wilson starred alongside on Amazon Studios' police procedural Bosch, tweeted a short but heartfelt tribute to his co-star. 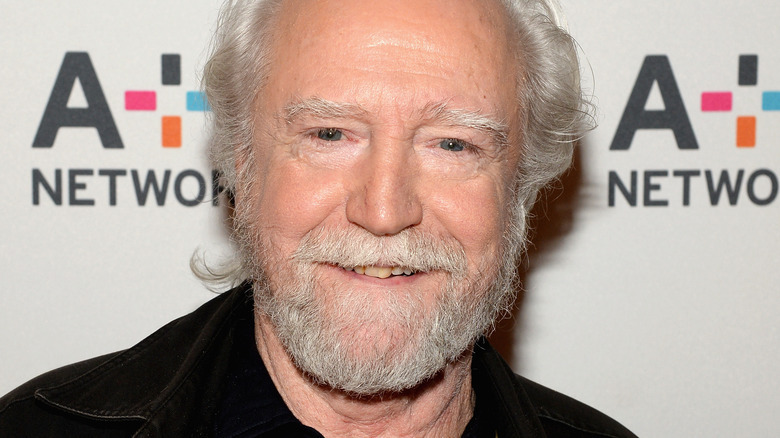 "Scott Wilson has departed. I am heartbroken. We are fewer. Go easy into the light brother," shared Welliver. Fellow The Walking Dead star Michael Cudlitz also addressed Wilson's passing. "Rest easy my friend," the Abraham Ford actor wrote on Twitter. "Rest easy." A veteran actor with an extensive list of credits, Wilson made his acting debut in 1967, when he portrayed Harvey Oberst in Norman Jewison's mystery drama In the Heat of the Night. That same year, he graced the silver screen again as Richard Hickock in Richard Brooks' drama In Cold Blood. Throughout the 1970s and 1980s, Wilson starred in movies such as The Grissom Gang, The New Centurions, The Great Gatsby, The Passover Plot, The Right Stuff, A Year of the Quiet, Downstream, The Aviator, Blue City, Malone, and Johnny Handsome. Wilson received a Golden Globe nomination in the Best Supporting Actor in a Motion Picture category for his performance as Captain Billy Cutshaw in the William Peter Blatty-directed psychological drama The Ninth Configuration. The 1990s and 2000s saw Wilson take on even more roles, including Dr. Temple in The Exorcist III, Dr. Beaumont in Femme Fatale, Frank Grimes in Pure Luck, Captain Salem in G.I.I Jane, General George Marshall in Pearl Harbor, Ambassador Swanbeck in The Last Samurai, Boo in The Heartbreak Kid, and many more. More recently, Wilson appeared as President Fremont in Radio Free Albemuth and as Winston Cooke Sr. in Dorfman. His last film role was as Cyrus Lounde in 2017's Hostiles. On the television side of things, Wilson popped up on shows like The Twilight Zone, The X-Files, Law & Order, Justified, Enlightened, and Damien. In addition to playing the stubborn veterinarian Hershel Greene (who is also the father of Lauren Cohan's Maggie Greene) on The Walking Dead until his character unfortunately got murdered by decapitation at the end of season 4, he starred as Sam Braun on CSI: Crime Scene Investigation from 2001 to 2006, as Paul Guyot on Bosch from 2014 to 2015, and as Abel Johnson on Netflix's The OA since 2016. Around the same time the news of Wilson's passing broke, The Walking Dead showrunner Angela Kang confirmed at New York Comic-Con that Wilson will appear in the series' upcoming ninth season, which will air on Sunday, October 7 on AMC at 9 PM ET. Our thoughts are with Wilson's loved ones during this time of mourning.